It's been a golden year for Kylie and the ride is set to continue into 2019 with a series of summer shows. 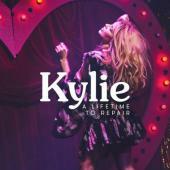 Join the forum to follow updates on Kylie and sister Dannii. New Era? What can we expect? Poll: 'I Feel Love' - Kylie's or Madonna's?